Two students and a flight coach were killed in Egypt’s Fayoum on Friday when their plane crashed while on a training flight, Al-Ahram Arabic website reported. 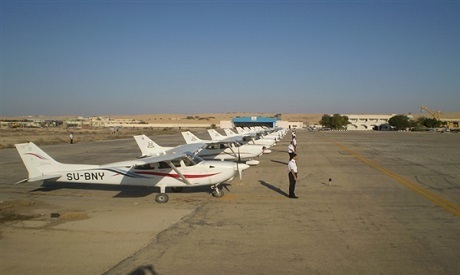 The students were members of the Egyptian Aviation Academy. The crash took place after the plane experienced a technical error during the training session, crashing in the desert near Youssef El-Sediek Village. The Egyptian Aviation Ministry is investigating the incident.